We’ve learned that analytics can help HR teams reclaim time and resources, can shift time and energy towards thinking and acting strategically, and can raise the profile and influence of HR by equipping teams with the means to speak the language of the executives. We’ve also learned that workforce analytics can contribute significantly to business outcomes. By having access to accurate, easy to understand and in-the-now data, HR professionals can make evidence-based decisions and act quickly to positively impact the people and the business. Despite this, there are still many organizations who have yet to take the plunge. And maybe that’s why – because we think of it as taking the plunge – when really, we should be approaching workforce analytics in a more conservative way, by dipping a toe to start. 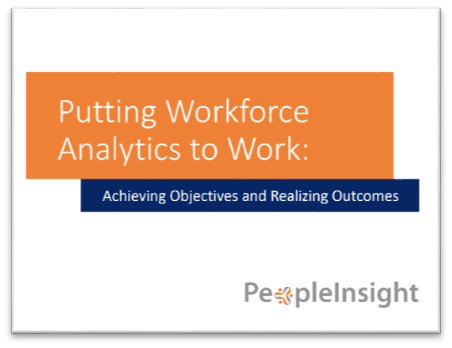 we’ll illustrate how starting small and having a clear focus on objectives is the key to putting workforce analytics to work for you.